This race takes you through the green and most beautiful parts of Reykjavik.The race starts in Elliðaárdalur in the east part of the city at the bank of the Elliðaá salmon river and goes through Fossvogur valley, by the sea side south of the city to the west side and back the same way. The entire course is on asphalted trails only crossing only few roads. 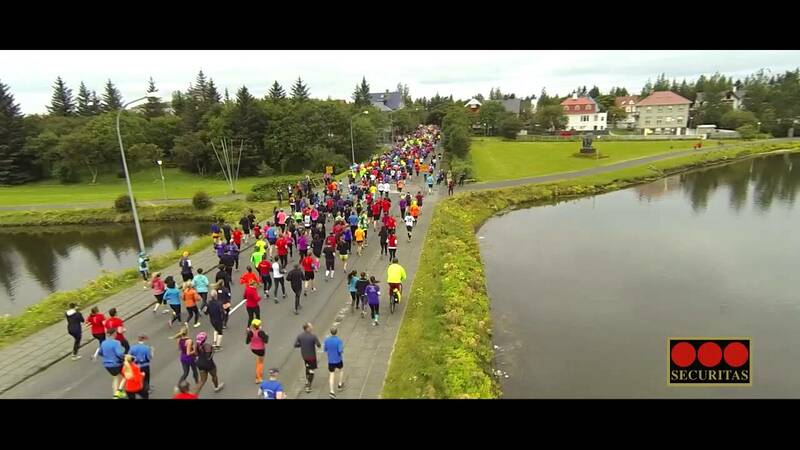 This is a fantastic opportunity to participate in a small an friendly marathon and experience the grass roots of the running culture in Iceland and a perfect place to meet the locals. 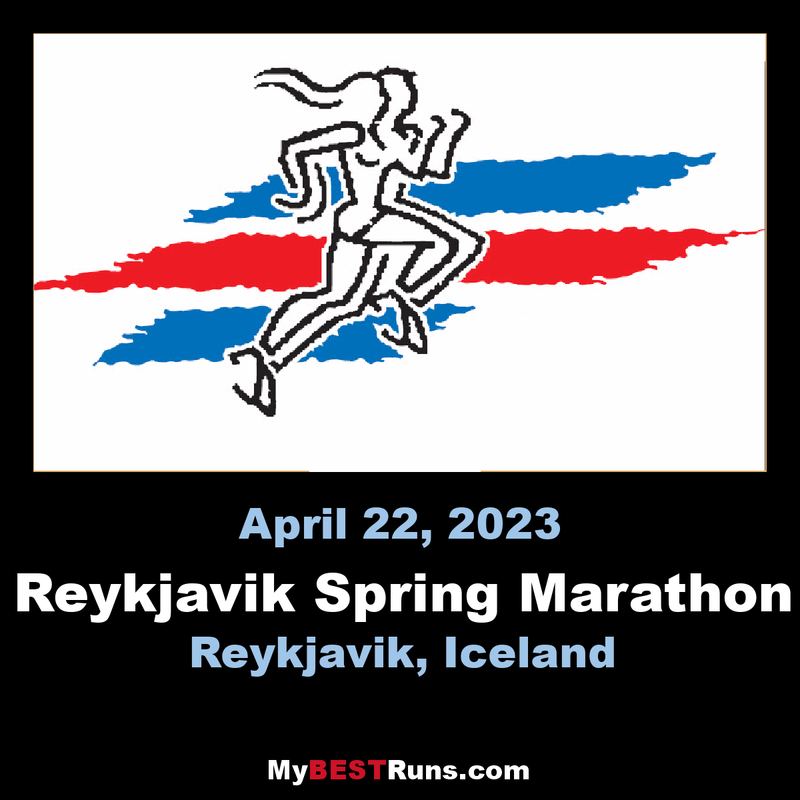 The Marathon runners Association (Félag maraþonhlaupara – FM) in Iceland is arranging two race events each year the Reykjavik Spring and Autumn Marathon. The history of the race goes back 20 years. This is a fantastic opportunity to participate in a small an friendly marathon and experience the grass roots of the running culture in Iceland. The event offers two distances: half marathon and a marathon. The course lies through the most beautiful parts of Reykjavik. The course lies through the most beautiful parts of Reykjavik away from the street traffic. The race starts in Elliðaárdalur valley in the east part of the city at the bank of the Elliðaá river, one of Iceland’s best salmon rivers, surrounded by 5500 years old lava formations and small fissures. Through Fossvogur valley, on the boundaries of Reykjavik city and Kópavogur the neighbouring town, the route takes the runners down to the sea side south of the city. At Reykjavik University there is a right turn away from the sea alongside Öskjuhlíð hill, once an island after the last ice age 10000 year ago when the sea level was more then 40 m higher then now, and then back to the shore line passing Natura Hotel and the domestic airport. At Nauthóll, with a sand beach heated up by geothermal water during the summer, the route continues to the west with a beautiful view over the ocean sometimes being able to see the mighty Snæfellsjökull stratovolcano glacier and presidential residents at Bessastadir on the other side of the bay. Now in the western part of the city, after 10,5 km kilometres from the start, the runners take an u-turn and head the same way back. The marathoners run this route twice. The entire course is on asphalt trails, mostly flat, with small elevation after 3 and 4,5 km, and only crossing two small streets each way. 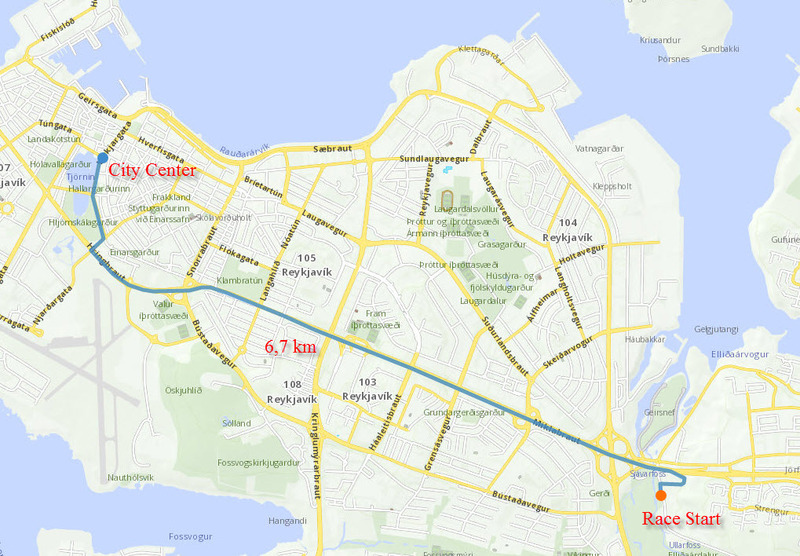 The race start is in the east part of Reykjavik. From the city centre it´s only a 6,7 km drive to the Race Start.